A trip to Lapakahi State Park is a trip back in time, a first-hand look into Hawaii's ancient past. 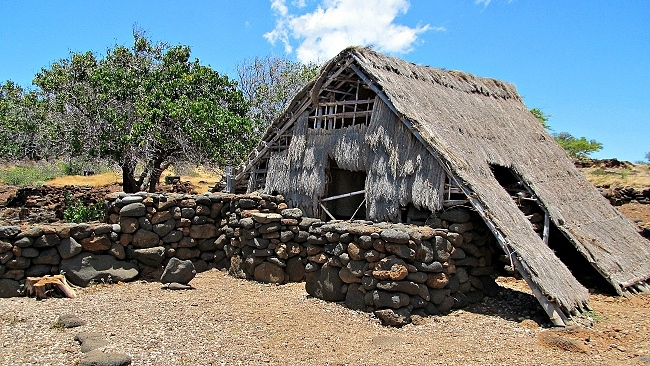 Once a seaside fishing village, much of the history of Lapakahi remains a mystery. What was left behind is a fascinating archaeological site that lends insight into how these people lived. 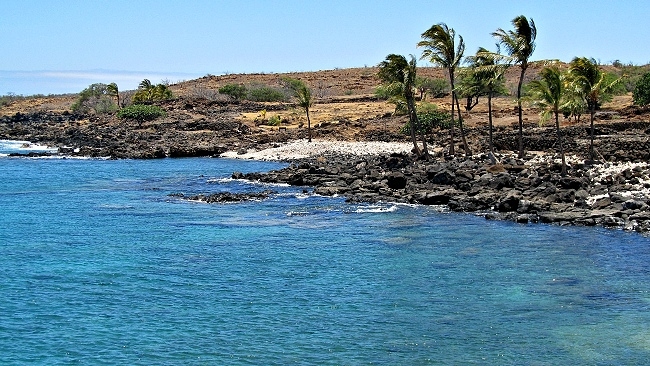 Located along the scenic Kohala coast, Lapakahi has been designated a Hawaii State Historical Park in order to help preserve this important piece of Hawaii history. A pleasant one mile (1.6k) walking tour with interpretive displays leads through the partially restored remains, telling a story of the coastal village and its people dating back nearly 700 years. 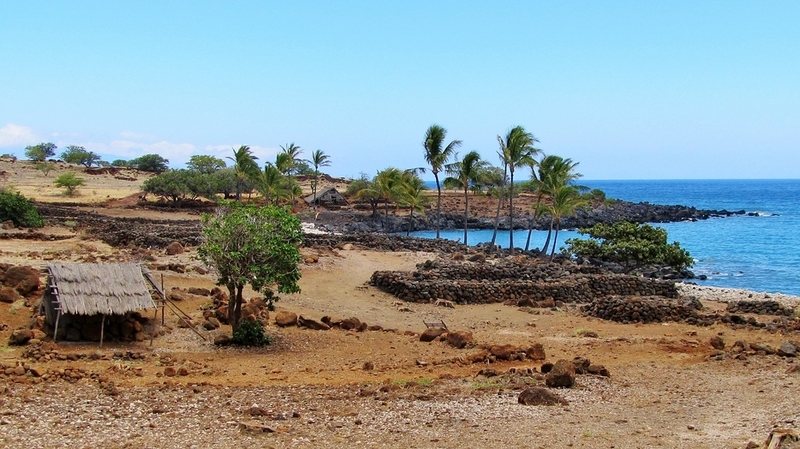 What remains of the once thriving settlement includes home sites, burial sites, storage areas for canoes, and even remnants of Hawaiian games. Stone salt pans near the shore collected seawater that was evaporated to create salt, which was then used to preserve fish. A natural cove at the shoreline probably made an easy launching and docking area for canoes. A deep well provided drinking water and a source of water for crops. 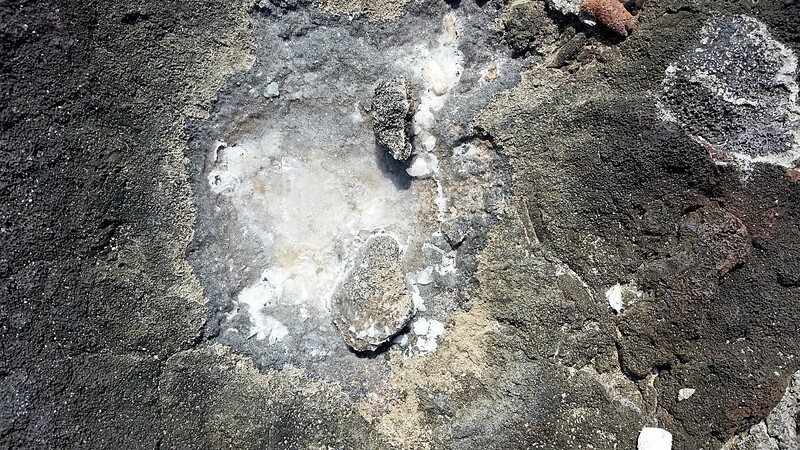 It has been theorized that the inhabitants of Lapakahi may have been forced to leave when the water table dropped and their source of fresh water disappeared. Most of the lava rock walls and remains you see at Lapakahi State Historical Park are original. Thatch or grass roofs provided shelter, supported by long wooden poles. At one time the community would have been filled with small thatched huts that served as homes for Lapakahi's residents. Could you survive here? The scenery is beautiful, but try to imagine the challenges these people must have faced every day, living off the land, fishing from the ocean, struggling to survive amidst the barren and rugged landscape. While rich in natural resources, the area is also very exposed, rocky, arid and windy. And yet many generations called Lapakahi home for many hundreds of years. Offshore from Lapakahi State Historical Park is the Lapakahi Marine Life Conservation District. This is a good place to spot Humpback whales during the winter months. Whales or no whales, the ocean views are spectacular! For adventurous snorkelers and more advanced swimmers, the reef to the north of Lapakahi is a great spot for some very interesting snorkeling when the ocean is calm. Whether it's on your way to explore Pololu Valley or returning from lunch in Hawi, make plans to stop and enjoy the wonder of Lapakahi State Historical Park. Because of its extreme exposure and little shade, we like to visit early in the day or late afternoon to avoid the hottest part of the day. 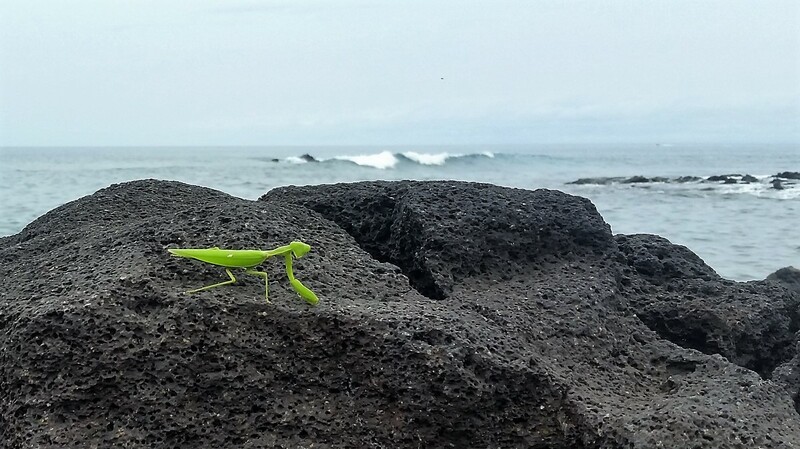 Located 7 miles (11k) south of Hawi and 11 miles (18k) north of Kawaihae on Highway 270, 45 miles (72k) north of Kailua-Kona. There are restrooms and trash cans but no drinking water.